Earlier today, Twitter purged tens of millions of fake and suspicious accounts in a seeming attempt to restore trust in the embattled social media platform, which had been exploited by Russian operatives allegedly in order to influence the outcome of the 2016 U.S. election. But while celebrities like Ashton Kutcher and Oprah Winfrey lost millions of followers during the purge, fake accounts involved in an online media campaign to bury unflattering news articles about Donald Trump remain live and tweeting. 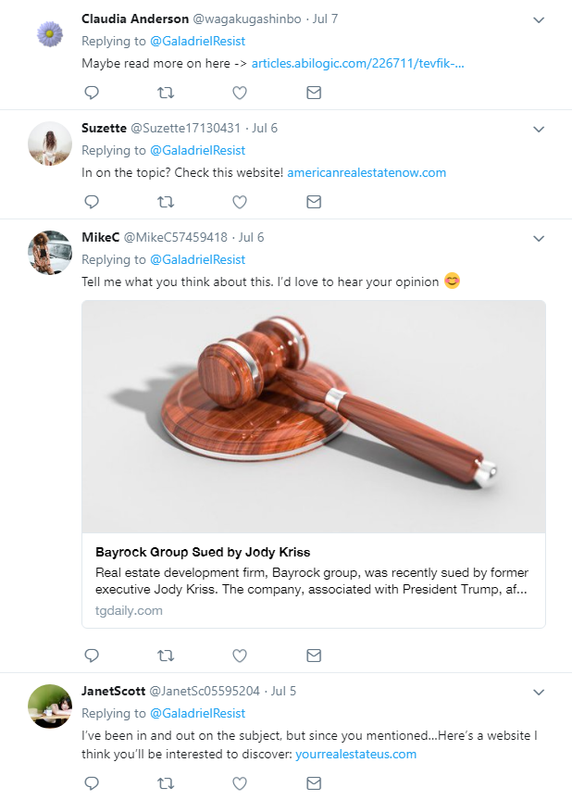 In fact, they’ve found a shiny new target: an investigative piece I recently co-authored with The Daily Beast’s Lachlan Markay about the campaign itself. 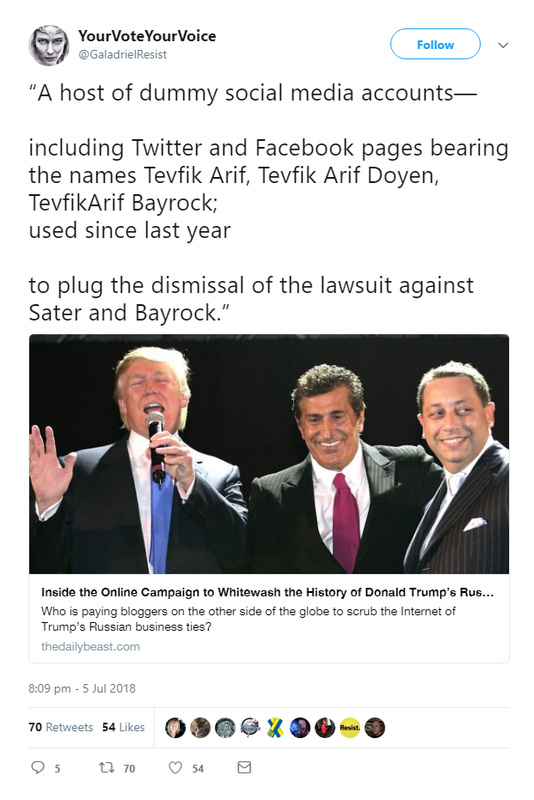 In that article, we examined attempts by Indian and Indonesian reputation management companies to influence Google’s search results—including paid content published on fake websites, Facebook, and Twitter accounts—relating to Trump’s relationship with Russia-linked former Trump Organization business partners Tevfik Arif and Felix Sater.